Hundreds of New Yorkers marched to Trump Tower in the snow to honor Martin Luther King by demanding that the president-elect pay more attention to justice for ordinary black Americans. 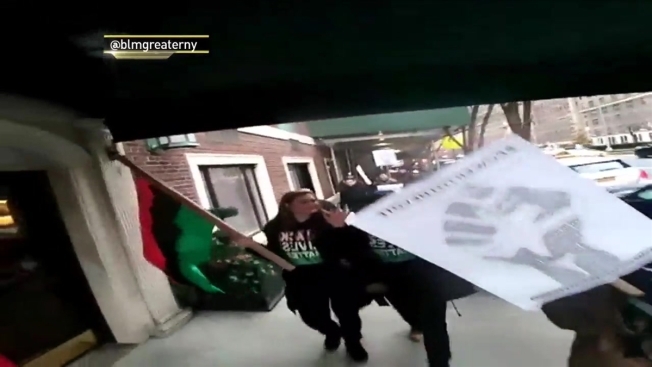 The activists who gathered on Fifth Avenue on Saturday afternoon included high school and college students, as well as New York members of the Black Lives Matter movement. Organizer Hawk Newsome says marchers want Trump to meet with individual black Americans who have suffered injustices, not only prominent figures. Newsome's initiative — called Black Lives Caucus — aims to sign up voters in support of political candidates who uphold King's battle for social justice.